The design uses my own designed geometric typography and was inspired by the round graphic denim button shape. 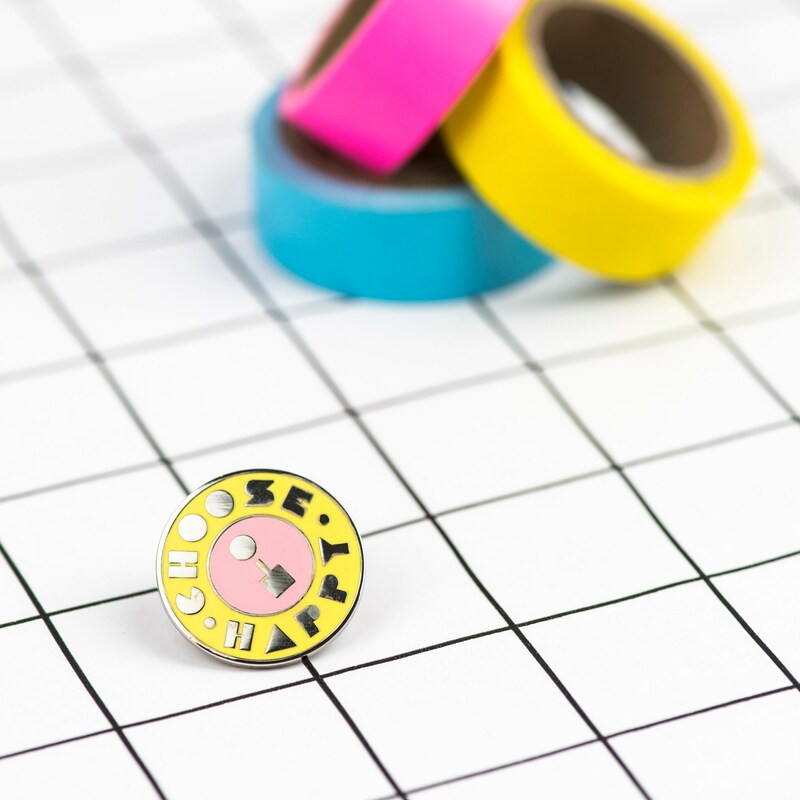 With the colour combination of happy sunshine yellow, and pretty pink complimented with a silver coloured back. 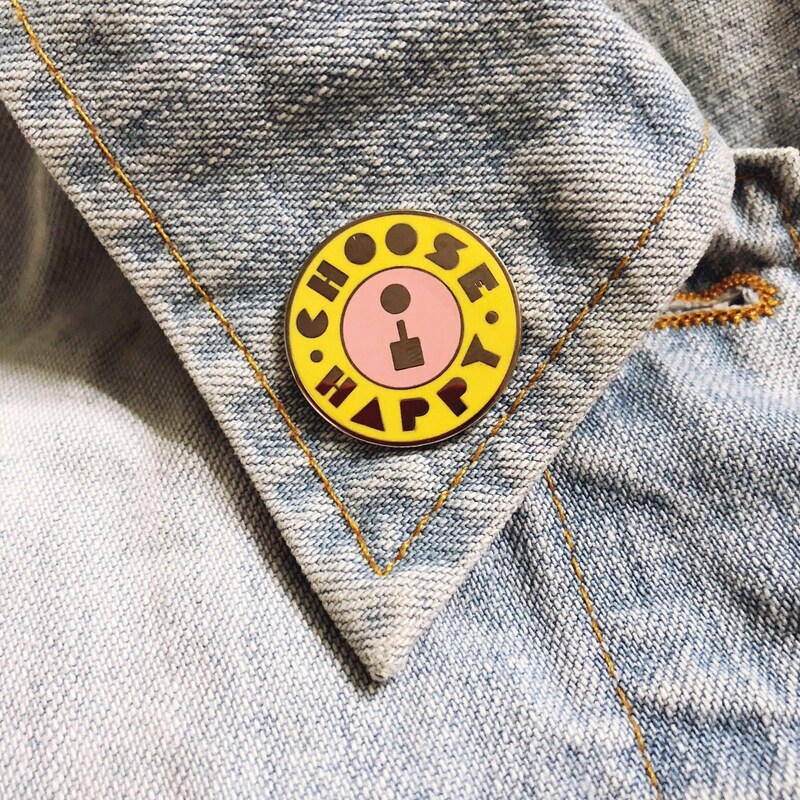 This 'I choose happy' pin is the perfect way to cheer up a friend or to help put you in a good mood every day! 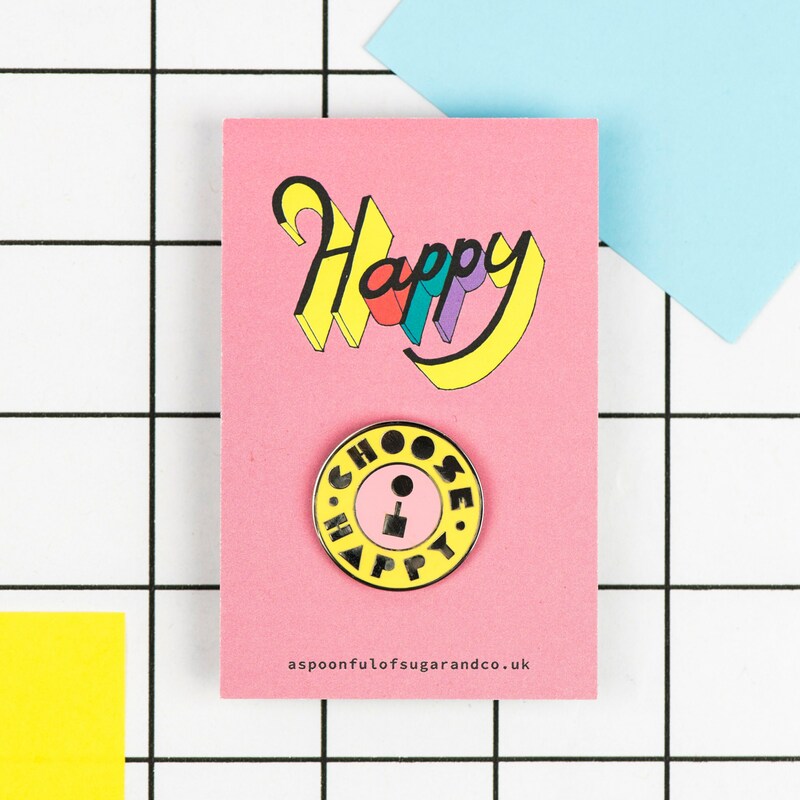 Every pin comes with a handlettered 'Happy' back panel.